About three-fourths of U.S. corn is used domestically to feed livestock and make ethanol and a byproduct called distillers’ dried grains that is fed to animals. However, livestock and ethanol producers need to blend corn that contains vomitoxin with corn that does not to make it suitable for feed when toxin levels are high. “Hogs don’t like the taste and don’t like the smell. 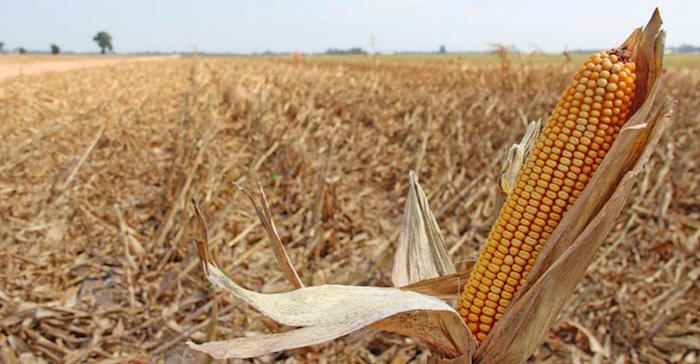 They will literally starve to death before eating it,” said Indiana grain inspector Doug Titus of Titus Grain Inspection, whose company has labs at Andersons Inc, a crop handler, and energy company Valero Energy Corp sites. The quality worries come as U.S. farm income has plunged by half over the past five years and as the deepening trade war harms demand for soybeans, the most valuable U.S. agricultural export product to China, and one frequently rotated with corn. WH Group Ltd’s Smithfield Foods Inc [SFII.UL], the world’s biggest pork producer, has detected vomitoxin in corn in Iowa and Nebraska, where it is not normally a problem, a source with knowledge of the situation said. The company, which feeds corn to hogs, did not immediately respond to a request for comment. The U.S. Food and Drug Administration allows vomitoxin levels of up to one part per million (ppm) in human and pet foods and recommends levels under five ppm in grain for hogs, 10 ppm for chickens and dairy cattle. Beef cattle can withstand toxin levels up to 30 ppm. Ohio-based Andersons is warning farmers delivering corn to an ethanol plant in Albion, Michigan, that corn with vomitoxin levels above five ppm is subject to rejection. Ethanol plants in Michigan and Ohio are also testing corn deliveries for the toxin and charging farmers financial penalties if their loads contain too much, a grain dealer in Michigan said. In upstate New York, farmers are feeding dairy cattle with millfeeds, a byproduct of wheat flour milling, instead of contaminated corn, according to a feed broker in upstate New York. Prices for millfeeds rose about $5 per ton to $100 per ton for trucks in Buffalo, New York, on Monday. Problems stretched over the border into Canada, too. “I’m already getting the panic button pushed in Canada in Ontario,” said Max Hawkins, a nutritionist with Alltech Inc, a Kentucky-based feed supplement company. Alltech had tested 45 samples of this year’s U.S. corn harvest as of Friday and found 80 percent contained vomitoxin, Hawkins said. That is about average, Hawkins said, but he expected further testing to reveal bigger problems. More samples have not been examined yet because of the rains that delayed harvesting, which was 76 percent complete as of Sunday. “It’s going to get worse,” Hawkins said.